Even before I left home I knew I was on a hiding to nothing. 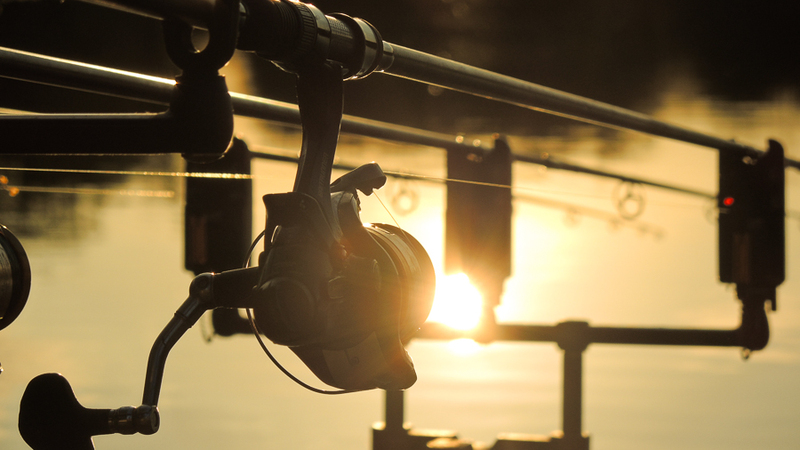 New tackle is a sure-fire curse on fish catching, and nothing more jinxing than new bobbins. I'll admit to being a tackle tart when it comes to bobbins, after all they are something I spend a lot of time looking at in the vain hope they'll actually move. Although the Fox Black Label bobbins I had been using for a while now were perfectly functional - after I'd fitted the ball type clips - I wasn't keen on them being red. Isotopes were dimmed by them, but the only alternative to make them glow brighter was green. even worse than red! This year Fox have introduced orange heads (apparently to fit with their corporate branding...), so I had to have some. Trouble is the standard size heads aren't available separately. That meant buying three complete indicators complete with hockey-sticks and, in order to get the right clips, Dacron cords. In a fit of madness I ordered up three small heads (which are available individually), three chains and three tiny isotopes. The idea being to have standard heads on my pod and the small ones on my sticks as the bobbins on my sticks don't have the isotopes inside them and they are all now smashed. Daft as it sounds, and totally illogical, having a nice looking set up can sometimes inspire confidence. Content with my new look indicators the rigs went out to good looking spots. extra pellets were fired out over the two close range baits and I sat back sans-fleece in the evening sunshine. Another guaranteed killer of sport is an east wind. Which was precisely what was blowing across the water. New gear and an easterly didn't exactly fill me with hope. So I pottered about taking photographs of my tarty set up. Cook and Ali were making progress in Barbados after the usual batting disasters. A few bubbles were even appearing within range of a couple of my baits - on the right length but not the right line. My hopes were rising. As the sun lowered and the light changed I took more photos. Shooting into the light can make for attractive pictures. You can even use 'mistakes' like flare from a dusty lens to your advantage. 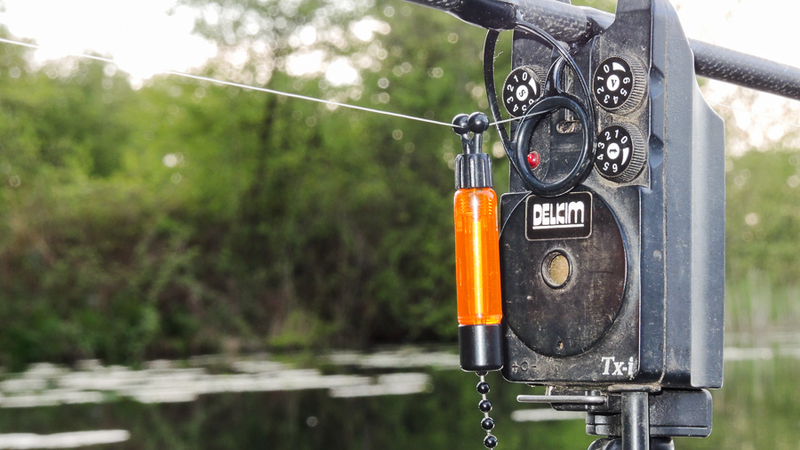 There was no movement on the new bobbins, no sound from the Delks, not even when the line lifted and tightened on the long-chuck middle rod. I left it alone expecting a liner, but the tightening and lifting carried on. When I picked the rod up there was a weight to be felt, a weight that was moving. On the way back there was no fight, just that weight as the fish came in easily kiting slightly to my left and the pads. One head shake and it kept on coming. Bream. I turned it away from the pads and towards the waiting net when the line went slack and I wound in a weed covered rig. Eh? 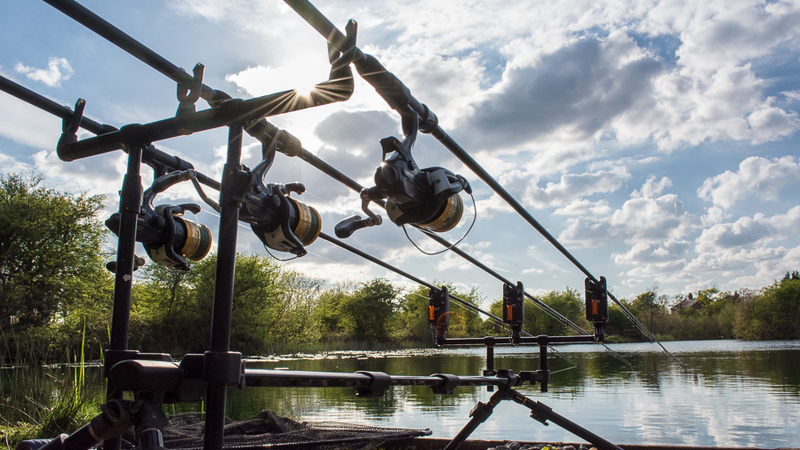 I fear that ailing to change the rig to one with a larger hook to match the larger bait than last time out had been the cause of my downfall. I'd thrown my wicket away through over-confidence like Joe Root. After recasting with a fresh bag of pellets on that rod the margin rod got cast a little further out to where bubbles had been rising. As the sun got lower and lower I wrapped up with my scarf, fleece, mittens and woolly hat. Evening swallows flew over the lake, followed by evening bats. Something or other had a couple of tugs at the close range fake corn. Probably small roach grazing over the pellets I'd scattered around the bait. That was that. It almost got me fired up for an early start today. But didn't. It's May and the blackthorn is still in bloom with the hawthorn just budding. Everything feels a week or two later than this time last year. 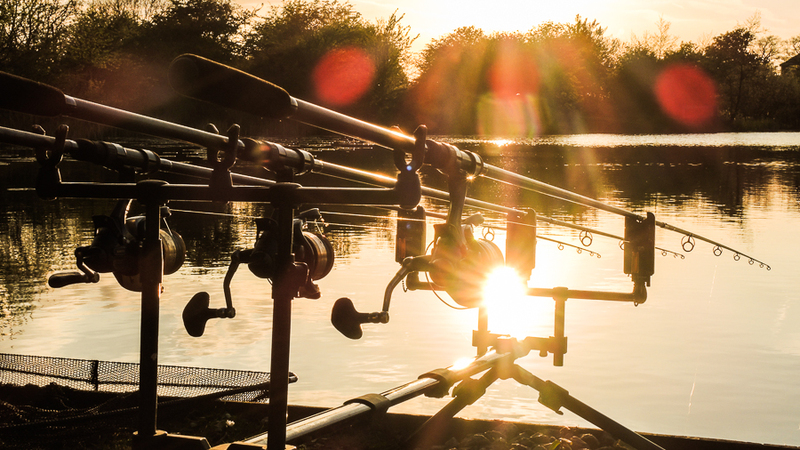 I definitely won't be getting the eel rods out until well into June this time round. So it looks like more not-tenching for the next few sessions when I can muster my rapidly dwindling enthusiasm.